TerraCRG, Brooklyn’s leading commercial real estate brokerage firm, announced today that they have closed on the sale of the development site located at 333 Johnson Avenue in the Bushwick neighborhood of Brooklyn. Ofer Cohen, Melissa Warren, Dan Marks, Peter Matheos and Michael Hernandez of TerraCRG represented the buyer in the transaction. Sydney Blumstein of Corcoran represented the seller, A.J. Bart. The property sold for $26,750,000. 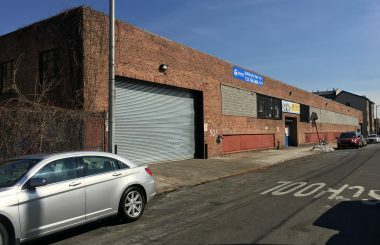 The industrial site, located on Johnson Avenue at White Street, is situated in the heart of Bushwick, one of the fastest growing submarkets in Brooklyn. The now vacated building once housed one of the largest printing companies in Brooklyn, A.J. Bart, which has since relocated out-of-state. The M-zoned property totals 160,000 SF. 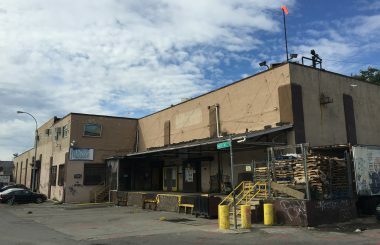 This is yet another industrial property to sell in the “Morgantown”/East Williamsburg section of Brooklyn. The buyers, Normandy Real Estate Partners, Royalton Capital LLC and Sciame Development intend to develop a commercial complex to house retail, restaurant and office tenants. The new development, billed as “creative community”, will also include 40,000 square feet of outdoor space. The restaurant tenants will be clustered on the White Street-facing courtyard with the opportunity for rooftop dining as well as on-site artisanal food production space.